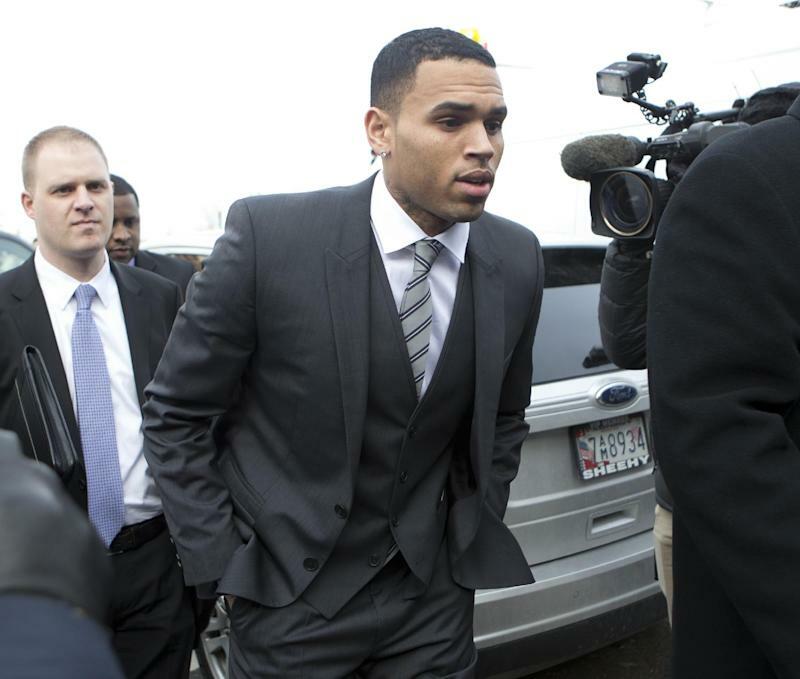 WASHINGTON (AP) — Singer Chris Brown's trial on an assault charge was put on hold for months Wednesday after prosecutors declined to grant immunity to his bodyguard, who would be a key witness in the case. Brown will remain in custody for the near future after a Los Angeles judge denied a request by the Grammy-winning singer's attorney to release him from custody while he awaits trial. Brown's trial had been set to start in Washington on Wednesday, and Brown's bodyguard, Christopher Hollosy, had been expected to testify and say that he, not Brown, hit a man outside a hotel in the nation's capital in October. Hollosy was tried separately and convicted Monday of assault, but he plans to appeal. Hollosy's lawyer has said that unless Hollosy is granted immunity, he will not testify until his appeal is over. A lawyer for Brown said in court Wednesday that could take at least six months. Prosecutors have said it could take a year. No new trial date for Brown was set. Prosecutors told a judge they decided not to grant Hollosy immunity because he refused to meet with them to discuss his testimony following his conviction. They also believe his likely testimony, that he alone threw a punch, would be a lie. Prosecutors say Brown and Hollosy hit 20-year-old Parker Adams after Adams tried to get into a photo Brown was taking with two women outside his tour bus. Witnesses testified at Hollosy's trial that Adams and Brown exchanged words over the picture and Brown, then Hollosy, hit Adams. Hollosy told police a different story. He said he hit Adams after Adams tried to get on Brown's tour bus. Brown denied hitting Adams and made a similar statement to police. A judge trying Hollosy's case found Hollosy struck Adams and that Brown acted as the initial aggressor. A Los Angeles prosecutor cited the finding during a hearing Wednesday afternoon, but it was not considered by the judge who refused to release Brown. Earlier Wednesday, D.C. Superior Court Judge A. Franklin Burgess Jr. set a status hearing in Brown's case for June 25, the same day Hollosy is scheduled to be sentenced. "I think all of this is much ado about nothing and frankly I look forward to being able to try this at some point," Brown's lead attorney Mark Geragos said outside of court Wednesday. Evidence of Brown's conduct in Washington could lead him to face additional penalties in California due to a conviction for attacking pop singer and ex-girlfriend Rihanna in 2009. Brown was on probation in that case when he was arrested in Washington. Los Angeles prosecutors and a judge had been awaiting the outcome of the Washington trial, but could consider additional punishments based on evidence and testimony presented during a probation violation hearing. Los Angeles Superior Court Judge Victor Greenberg refused to consider rulings in the Washington case during a brief hearing Wednesday. Another of Brown's lawyers, Bob Kalunian, argued the singer should be released on his own recognizance or on bail. The judge set a hearing for May 1 to determine when a probation violation hearing should be held. The hearing would cover evidence and testimony likely to be presented against the singer in Washington. Kalunian said the singer wanted the hearing as soon as possible and Greenberg said it would likely happen before the Washington assault trial. Brown entered anger management rehab at a facility in California shortly after his Washington arrest, but he was dismissed from the Malibu facility in mid-March for violating its rules. He was then jailed without bail and has been in custody since. He was transported to the Washington area by the U.S. Marshals Service and will now be transported back to California. Entertainment Writer Anthony McCartney contributed to this report from Los Angeles.